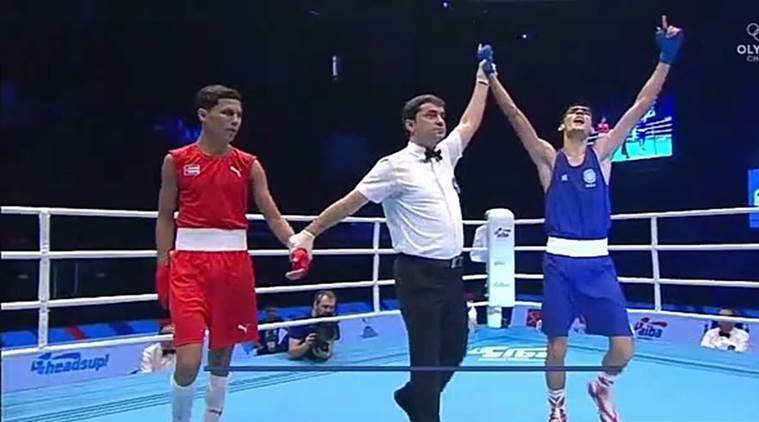 Sachin Singh became only the third Indian boxer ever to strike gold at Youth World Championships with a stunning unanimous win over Jorge Grinan. Sachin Singh brings back victory to India after a long gap of six years. Rising boxer Sachin Singh will be given a cash award of Rs. 1 lakh for notching up an impressive victory in the finals of AIBA Youth World Boxing Championship in St. Petersburg, Russia by Boxing Federation of India (BFI) President Ajay Singh, it was announced on Saturday. Ajay Singh had communicated that the winners of the youth meet would be rewarded for their performance on the international stage. Sachin (46-49 kg), an Asian Youth Championships quarter-finalist and the reigning junior champion, faced Cuba’s reigning national champion Jorge Grinan in the final to clinch the gold by 5:0 by an unanimous decision. Sachin, 16, brings back victory to India after a long gap of six years. Vikas Krishnan was the last pugilist to have bagged a gold in the 2010 edition. Representing India in men’s heavyweight 91 kg category was Naman Tanwar, who returns home with a bronze after he lost in the semi-finals against Pero of Cuba. Narman will be given a cash prize of Rs. 25,000 by BFI.